All You Need To Know For Travelling Kenya: Tips, Visas, Jabs and Malaria! So, your here because you’re planning a trip to Kenya? Or maybe your trip is fast approaching and you have a few missing blanks to fill in? I’ve just got back from 9 days in Kenya and I know that I certainly had a few missing blanks about Kenya before jumping on that 8 hour flight from the UK to Nairobi. Malaria tablets: Should you take them? Side effects? Tips? 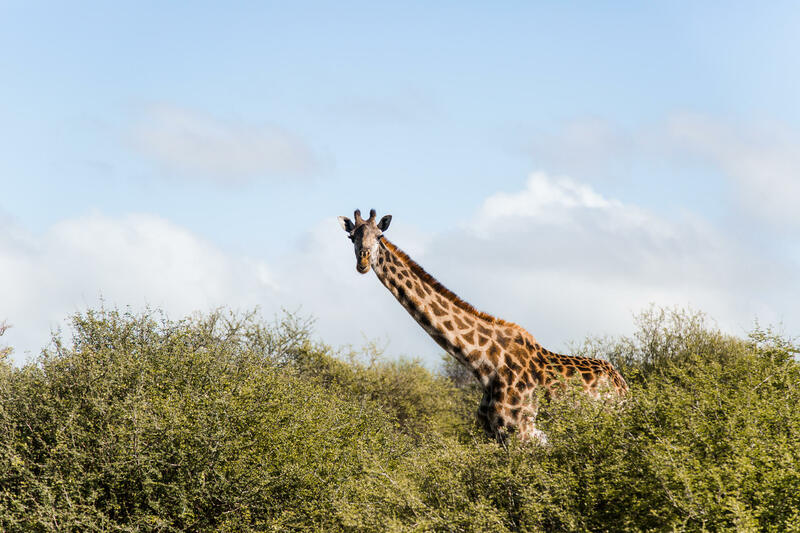 My top tips and things to remember when travelling through Kenya! As a British citizen, you are required to have a visa to enter Kenya. You can either process this online beforehand or you can do it upon arrival at the airport. Click here to get your eVisa for Kenya. If you are a citizen elsewhere I recommend checking the visa advice on the IATA website here. We did it upon arrival at Nairobi and paid 6000KES (Kenyan shilling) each / $51 USD. This visa allows you up to 90 days in the country. When looking at Kenya on the IATA website (my go to place to source visa and jab requirements for any county) I noticed Malaria was listed as high risk so I booked an appointment at the nearest travel clinic to me (just google ‘travel clinics’ near you, most drugstores / superstores have the service). The travel nurse strongly advised taking malaria tablets and though many of you guys said (when i reached out on Instagram) that you didn’t take them and don’t need them, it’s a hard risk to take when there’s a life threatening disease in question. So I bought them and took them. If there’s even the slightest chance, why take the risk? Update: Our Kenyan safari guide / driver indicated that you don’t need the tablets but too, wouldn’t say outright not to take them. Malaria isn’t impossible. The risk is there whether you take precaution or not. Which Malaria tablets should you choose? There are two malaria tablets versions to choose between, one is Malarone (around £2 a tablet) and the other is Proguanil (around £1.20) a tablet. Obviously I am not a nurse and you shouldn’t take my word for it but from what I gather no tablet is noticeably superior to the other. Does the more expensive one give you better protection? No. It’s simply a branded version. Both tablets have the same active ingredient and the same level of it. Apparently side effects can differ between the two types but as I write this i’m on my 4th day taking the tablets, I went for the cheaper ones and my brother went for the Malarone – both of us are fine. Update: Four days in my brother has got heat rash which could be links to the increased skin sensitivity associated with the tablets. We have all had a bit of a dodgy tummy but nothing extreme. I also had two nights of ‘vivid dreams’ but it’s hard to know whether i pre empted them or whether it would have happened anyway. Regardless, the cheaper tablets have caused me no noticeable stress. You start taking the tablets two days before you enter the risk zone and then continue for seven days after you leave. Of course there are potential side effects to contend with when taking Malaria tablets (nausea, vivid dreams, tiredness, increased sensitivity to UV rays) but of course not everyone experiences them. Always take the tablet after food, even if it’s just a banana! Keep the tablets in your purse so that they aren’t hard to locate when you need to take them. Set an alarm or take your tablet at breakfast so you remember, not at 3pm when you could be out on safari. Don’t cook yourself in the sun as you maybe would otherwise, the tablets are known for increased sensitivity. Take anti-allergy tablets with you incase of heat rash and some probiotics to insert extra nutrients into your body if the tablets play with your tummy! Everywhere I went in Kenya (four different destinations) they used UK plugs so if you’re from the UK you won’t need your adapter! You drive on the left hand side of the road, again just like the UK! For your own safety (lorry drivers are notoriously careless at night) tourists and guides are advised to not drive at night at all. It’s strongly advised and was reinforced by our Kenyan tour guide. If you fly in to Kenya at night, stay at a nearby hotel and begin your adventure in the morning. Swahili is the main language spoken in Kenya but most people speak good english, if not perfect. A lot of places prefer cash and will tell you they only take cash (to avoid the taxes haha, they are pretty open about it). In western establishments you can use card no problem but for day to day purchases order some Kenyan shilling before your trip to have in your purse. You will only want to drink bottled water here in Kenya (not from the taps) so cash is good for picking up bottles during long drives and also for toilet money! Even if you aren’t off on a ‘safari holiday’ in Kenya, there are animals on the side of the road. Honestly I guarantee you will spot something that your camera zoom just won’t enhance. 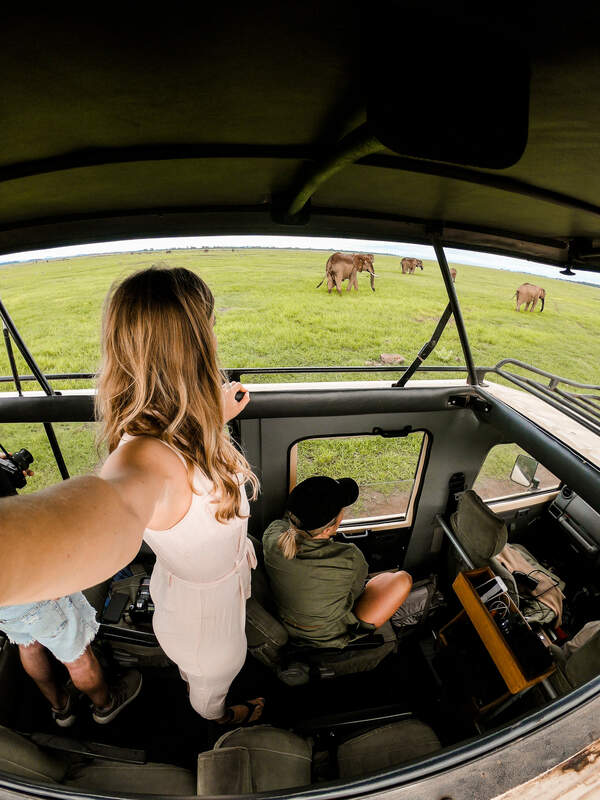 If you’re on safari like we were – you won’t want to be without a pair! Incase you get a jippy tummy! Don’t drink the tap water and refuse ice in drinks unless its from bottled water! Most hotels supply bottles in the room but it’s always good to have a bottle for brushing teeth etc. Pack your insect spray and afterbite lotions! This was something we had no idea about and when our driver pulled into the national park where our hotel was located we we surprised with an additional fee. You can pay by card and you pay for 24 hour passes depending on how long you stay. The three national parks we went into were $52 per person, per day for entry! Definitely an expense you should account for! Of course it adds up but the money goes straight into preserving the incredible parks and animals within them. It’s worth every penny when you see the adventures in store for you! Not only is the sun strong in Kenya but if you’re taking malaria tablets, your skin becomes increasingly sensitive to UV rays. Some common greetings for you! Our driver didn’t initially have one so if you have one at home, pop it in your day bag. Tunes are everything on the long drives! Predownload your favourite music on Spotify before you get to Kenya. It will keep you company when you’re travelling and let me be honest, the WIFI isn’t great so don’t expect to rely on it! A lot of the Land Cruiser safari cars have a cooler in them to store snacks and drinks for the safaris and drives. You can stop off to grab beers and bottles – don’t forget a bottle opener! This might sound mad but it was something I would never have guessed. 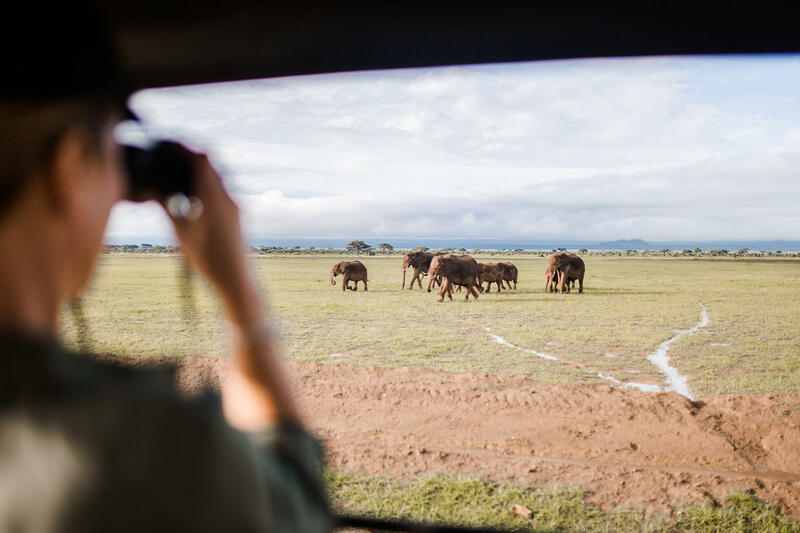 As you explore the rough off road terrain with your safari driver (or by yourself) you’ll be taking the impact of the lumps and bumps in the road. I didn’t notice it for the first few days but 3 days in I noticed a lot of tension in my body from holding on tight to the vehicle and from the jolting motion. Ibroprufen is good to have on any trip but particularly this one for me! Drivers know all the routes and all the added spots where locals take you places for additional mini adventures. I guess they all team up and give eachother business which is cheeky in one sense but adds elements to your trip that you wouldn’t have otherwise discovered. They don’t set a price for these walks / tours but you are expected to give them something when you finish. They are usually happy with 200-500KES which is around £1.50 – £4 so it’s not much but they don’t take card! Mum said she’d read this online and wishes she’d bought one. For the same reason I say take Ibroprufen but a precautionary measure. The driving can really have an effect! STAY TUNED FOR MY KENYA SAFARI AND BEACH POSTS THIS WEEK!